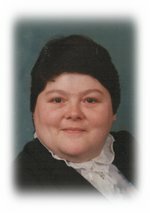 Mrs. Judith Elizabeth May Fleck (nee Shields), age 68 years, passed away peacefully in Hamilton General Hospital on Thursday, June 1, 2017, with her husband by her side. Judy was born on July 21, 1948 in Fort William, Ontario and attended Riverdale School and Selkirk High School. While her children were young, she was a girl guide leader and, while Jason grew, was also involved with T-Ball. She worked for many years at J.B. Evans, until retirement. A real passion of Judy's was the Rural Food Bank. She was extremely instrumental in getting the new Food Bank built and was constantly available for any emergencies, often on call 24/7. Judy was a caring and truly good-hearted person. She always had a smile on her face and was always up for a good conversation and a cup of tea. She will be deeply missed by her family and friends. Judy is survived by her husband of 40 years, Wendlen; son Jason (Shawna); step-daughter Maggie and step-son Methieshia and grandchildren Jaxson, Jarred and Serena. She is also survived by her brother Dan (Ange); niece Carrie Ann (Blair) and nephew Mike (Tammy); mother-in-law Annie Fleck as well as numerous in-laws and other relatives. She was predeceased by her parents, Edmund and Ella Shields; brother Michael and sister Patricia. A Celebration of Judy's Life will be held on Friday, June 9, 2017 from 6:00pm until 8:00pm in the WESTFORT CHAPEL, 420 West Gore Street at James. A private interment will take place at later date in Mountainview Cemetery. Should friends so desire, donations made in memory of Judy to the Rural Cupboard Food Bank, Heart and Stroke Foundation or Canadian Diabetes Association would be greatly appreciated.